As they say: “a picture is worth a thousand words”. 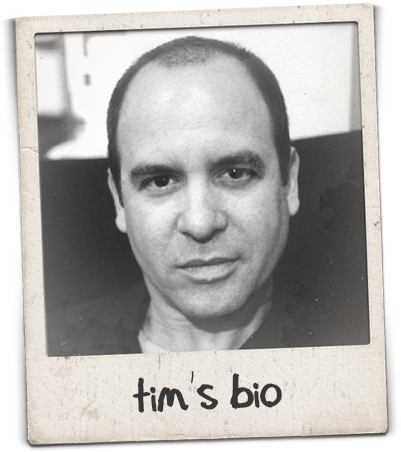 Tim has improvised since 1988 with many San Francisco-based groups, including BATS Improv, True Fiction Magazine, Awkward Dinner Party, and with the acclaimed troupe 3 For All. In 2009, he founded Improv Playhouse of San Francisco. 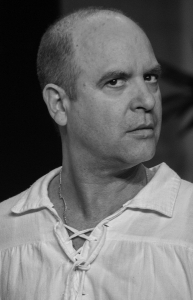 Tim has also appeared in numerous plays in the San Francisco Bay Area, and received critical acclaim for his leading roles in the improvised feature films, Suckerfish and Security. With Stephen Kearin, Tim co-wrote, and originated the role of Dirk Manly in, An Evening with Dirk & Blaine. Tim Orr and Inbal Lori are click. They’ve worked together since 2009, and have discovered that they share a common passion for playing characters and telling stories. Their approach is energetic and unpredictable, as they are equally attracted to many aspects of improvisation: unbridled spontaneity, disciplined narrative storytelling, the physicality of movement and human relationships of all kinds. 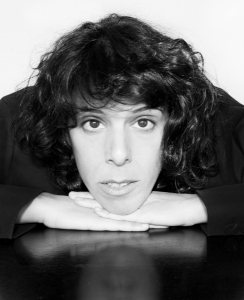 Inbal Lori is a graduate of Jerusalem art high sch ool (1994) and Nisan Nativ acting studio (2000). since than She writes and acts for television and theater and has won prizes and scholarships for her acting and writing. 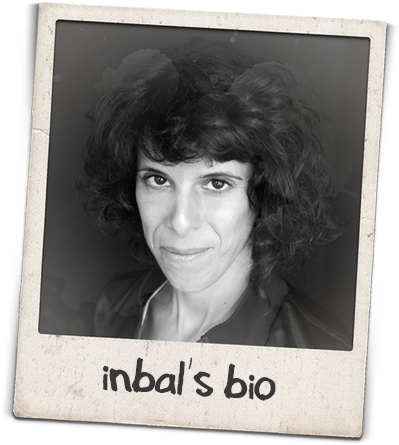 Inbal started improvising in Tel Aviv in 2001 where she had her group 3FALLING and run an improvisation school in the city from 2013-2017.
in 2015 Inbal moved to Berlin and since than she is teaching and preforming all over the world in places like: the U.S.A, Canada, Australia and Europe. Her performances include her solo show “fragments of life” and duo shows such as: “CLICK” with Tim Orr (San Fransisco), “The Lorilees” with Lee white (Canada), “The fun fatales” with Paula Galimberti (Spain) and “Playing with the enemy” with Arab improviser Zaki Zikani. Both Inbal and Tim are interested in teaching wherever they go for shows. It is part of their passion for improv. They are both experienced teachers with a wide variety of classes to offer. Please see below for a list of the workshops that each of them teach. These workshops will of course be structured in a way that most benefits your group. And most of these subjects can be taught by Inbal and Tim together, if that’s what you would prefer. In general, these classes can be taught in as little as 3 hours, but with more time we can really go into depth. Also, they can be combined in many ways to make an Intensive. Someone once asked Jimi Hendrix what made his guitar playing so unique and powerful, and he replied “I think it’s the pauses”. What does that mean for us as improvisers? When we take our time on stage, it gives time for surprising and wonderful things to fill the “empty spaces”. In this workshop, we’ll work on paying attention to ourselves and each other, and moving through our scenes in a relaxed and confident way. The stage belongs to you, so make the time on stage YOURS! This class will focus on simple “slice-of-life” scenes between characters. Interaction, not plot. Connecting with other characters on a simple and basic human level. Nothing special or interesting needs to happen. You can be where you are…..and the audience will be there with you too. By “playing for real” — by committing to our characters and by working to be as true as possible to their objectives and emotions, we make improvisation more compelling and more believable (and consequently often funnier), for ourselves, for our partners and for our audience. The word “passion” comes from the Ancient Greek verb πάσχω (paskho), meaning “to suffer”). How do we engage both ourselves and our audience on a visceral level? How do we portray Violence, Friendship, Intimacy, Love, Lust, Desire? This class will focus on playing characters who are filled with passion about people, ideas and things. Recommended for anyone working on being “bigger” and more expressive. Playing a strong, happy and healthy version of ourselves on stage is a powerful starting point for all improvisers. In this class, we’ll learn to be brave, confident and friendly in our improv scenework, and we’ll do it in fun and surprisingly obvious ways. Guaranteed to change to your improv life! (This class is great for all levels of improvisers, both beginning and experienced). I find that many “experienced” improvisers inadvertently develop increasingly-subtle ways of not fully saying Yes! How can we deepen our yes-saying skills; what is the process of staying on a yes-saying path in our improv work? Learn how to play people who get along with the other characters in the scene. Is there really a need for conflict and trouble between the characters in scenes? By getting along and liking each other, a whole new world of conflict-free detail opens up. This is a powerful and transformative approach that will change your improv, for good! Discover the power that you get as an improviser when you play characters who actually get along with the other characters in the scene. Most improvisers have heard of playing “happy/healthy”, but in my experience less than 5% of improvisers in the world actually know how to do this. Is there really a need for conflict and trouble between the characters in scenes? By getting along and liking each other, a whole new world of conflict-free detail opens up. You give yourself and your partners the room to be anyone, do anything and be anywhere. This is a powerful and transformative approach that will change your improv for good! In improv scenes and stories, we need to be open to playing anybody and everybody. What characters are needed in this scene or story? How do they talk, move, feel, what is their inner rhythm? In this class, we’ll look at how we can use our imagination, voice and body to portray an infinite variety of characters. Break out of your patterns and your usual cast of characters – find the limitless improviser within! How do you play an infinite variety of characters, including those who are big, Bigger and BIGGEST? By using your voice, body and imagination, that’s how. Sometimes, as improvisers we can feel that we’re stuck in a fairly narrow character range, but what we really want is to be available to play any character that’s needed for the story at any time, no matter how different from us they may be. Open up, let it go, dare to be foolish! By being physical on stage, we lift improv out of the “talking heads” syndrome and into exciting and theatrical worlds. By being physical, we engage both ourselves and our audience on a visceral level. How do we portray Violence, Friendship, Intimacy, Love, Lust? Also, how do we move within and through scene locations, in ways that add to the story and also to the magic of the theatrical experience? We’ll look at ways to do all of these things in this class! Transitions (sometimes called “edits” or “scene cuts”), both within and between scenes, are one of the truly magical aspects of improvisation. In this class, we will look at the many ways that we can, as an ensemble, move from one part of scenes and stories into the next part, with the goal of making anything and everything possible. As with all space object and “where” work, the key is to take your time with what you’re doing, and observe what your partners are doing. Taking your time makes things easier to read and also expands your options. How do we start scenes with confidence, variety, vitality and clarity ? How do we start in the beginning, the middle, the end of something? How do we make the most of the initial “Big Bang” of scenes? In this class, we’ll work on “hitting the stage” with energy and commitment and the elements that help us do that: Volume, Clarity, Specificity, Implied History, Emotions, Agreement. In improv, we can actually make an audience see things and places that aren’t there on stage, if only we have the skills and commitment to make it happen. Instead of standing onstage and talking, we have the opportunity and the challenge of portraying the full range of human experience. It is the truly magical part of improvisation! This class is an introduction to the “Advanced Wheres/Action” course which I’ve developed through 23 years of performing and teaching. These techniques, used together, give you the skills you need to create dynamic environments in any improv format. How do we consistently approach any situation and character that we might be called upon to play in the world of improv with confidence and playfulness? How do we articulate the specifics of being a physicist, a news anchor, a politician, or anyone else without pause or worry? How can we rattle off the first and last names of 20 people in a row? Being specific has lots of advantages; details place us in a uniquely distinct time, location and interaction. In this class, we’ll challenge ourselves to fearlessly and spontaneously be more specific in our work. Fun stuff! What are the skills which allow a group of improvisers to perform at their highest level? How do we work, together, to make magic in the moment? In this class, we will take a look at the vital and dynamic role that “ensemble” plays in improvisation. Many improvisers find it challenging to end scenes when doing “open”, unstructured short scenework. But in my experience, this kind of scenework is some of the most exciting work to do in improv. We’ll look at some tools that, used individually and together, can lead to strong, satisfying endings, with focus on: Escalating, Repeating, Finishing The Task, and Leaving. may feel like “too much”. Let’s see how far we can go, and risk doing too much! The great Elaine May once said that the only good improv scenes area about flirting. There’s a lot to be learned from playing characters who seduce and flirt (in all its various forms). For me, this is one of the funnest parts of improv. We’ll look at the many opportunities we encounter in scenes to make our partners look good by asking them to do or be something. And, of course, we can also pimp ourselves! We’ll also look at the most opportune times to engage in Pimping, and our complementary role as “The Pimped”. Fun! We’ll explore ways that we can establish and maintain a high degree of connection with our fellow improvisers/characters. The focus will be on recognizing that the only “scene fuel” we need is right there in front of us in our partners, and how we tap into that and use it to sustain and energize us throughout our scenes. yourself as an improviser? Do you feel “stuck”, or somehow uninspired, or that you’re doing “the same old things”? Let’s break out of this feeling, look at improv with new eyes, and fall in love with her all over again! In this class, we’ll look at our relationship with failure, the burden of knowing vs the joy of not-knowing, and how we can be permanently challenged and surprised by our work, and also help others feel the same way. I can put together a course for your troupe, specifically designed for you with goals that we agree upon in advance. In addition to the focus of the class described above, I would also like to look at the “production values” of your shows – the use of lights, music, stage furniture, etc. We can also look at how to “give constructive feedback” within your group, the formats that you perform, and anything else that will help to “raise your game”! In all workshops speakers with cable connection to iPhone is required. The world is changing fast and often. We are not sure what we are “allowed” to do on stage and what is “inappropriate”. * How do we tackle political, racial and gender issues in improvisation? * How do we play the bad guys and/or people who are different from us? * What do we have to say and how do we avoid propaganda while saying it? * How do we keep our improvisation playful and funny while tackling such topics? If you are interested in making relevant, meaningful or thought provoking improvisation, this workshop is for you! How to specify and personalise your improv. What ever the scene is about, whom ever you play- you need to personalise and specify what ever you do in order to stay convincing believable and charismatic. In this workshop we will work on how to find your character’s story, world, moods and relationships. In other words we will personalise your choices so that you will have more depth, tension and fun in your scenes. Whatever you or the scene needs is present on stage right now. As improvisers our imagination is working extra hours. Is not just about what we say or who we play, it’s also about where we are, what else is around us and how can we use it. This workshop will explore the ways to imagine and create the world you’re in. it will shift your focus into a wider perspective allowing you to be more spacious, detailed and inspired. See where you are and use it for the best of the scene! From being able to fully listen to you partner to being able to play the lowest/highest statues in the scene, runs the thin cord of respect. In this workshop by exploring the starting point of- honor, dignity and respect we will learn to create an enabling environment, motivated by lack of judgment, by recognition, trust, freedom and creative joy. this will lead you to perform the best fun and creative impro ever!!! The workshop will explore the joy of finding truth in characters, and the ability to change in a believable way. We will do so by trying out different body languages, statuses, personal rhythms and psychological states. We will explore realistic characters along side with expressive and extreme ones. For two people who sign up together. Ever dreamed of doing a show with only one more person? You should- It’s one of the most fun things! what makes Was Anderson’s movies so much fun? Our workshop will enable us to play with the coolest tools of impro: mysteries yet strong characters, narration, montage, great story telling, stage designing in real time, juicy relationships, sharp dialogues and much more! Wanna try something new with your group? Wanna refresh the ways of playing together? Wanna discover what more each one of you can do? Wanna find a new format to play with? If the answers are yes and yes than this personal intensive workshop is great for your group! Let’s close ourselves in the rehearsal room and come out inspired, live and kicking!! Improvisation- like any other story telling art- uses the element of time, and does with it a variety of many cool things. to jump from the past to the future and much more! to time-traveling in an epic way, fast and funny way, with cinematic and theatrical qualities. Wether you are planning to go solo or not, the tools for improvising by yourself are essential to all improvisers! Multiple characters scenes, taking the time, using who you are as an endless source of inspiration, ways of discovering/building stories- all these tools and techniques will be explored in this workshop to allow you freedom, inspiration and confidence no matter who you go on stage with! The ability to be focused, and the ability to let go. These contradictory abilities are simply different ends of the same rope. The rope of focus, storytelling, cooperation, rhythm and more. I invite you to come and explore the balance, the place where you can choose to do what’s needed at the right time. then introduce it to us. Then let’s find out the most fun way to play it. use it in a scene, develop another cool technique out of it, crack the mechanism, change the patterns, find the focus and play with the volume! Let’s transform any ideas into creative improvisation. Bring us a game and together let’s take it out of the game. As improvisers, one of our ongoing and most challenging tasks is to create wheres and action. Otherwise, we just stand there and talk, and our ability to portray the full range of human experience is severely limited. Remember, we can actually make an audience see things and places that aren’t there on stage, if only we have the skills and commitment to make it happen. It is the truly magical part of improvisation! In this course, we’ll work on the five guidelines of Advanced Wheres/Action which I’ve developed through 23 years of performing and teaching improvisational theatre. These techniques, used together, give you the all the skills you need to create dynamic environments in any improv format. BE ANYWHERE AND EVERYWHERE! DO ANYTHING AND EVERYTHING! This intensive will focus on the acclaimed Improv Playhouse of San Francisco format “The Naked Stage”, in which the stories take place in a single setting/location, in traditional stage-play style. The improvisers play one character each, and there are no built-in time jumps, transitions or scene breaks . All the actors have is the bare stage, a simple suggestion from the audience, and each other. “The Naked Stage” is hugely popular in San Francisco and across the USA. During this intensive, we’ll explore the unique challenges and opportunities of two-person improv, and you and your partner will create and perform your own two-person format. – Relationships: establishing details and emotion with clarity and energy. – Scene Starts: jumping into each scene’s reality/locations with commitment and variety. – Transitions: how do we move from scene to scene in either short or long-form. – Characters: commitment, variety, playing both sexes, playing multiple characters, playing each others’ characters, etc. together by theme, by location, by time period, by genre, by furniture? Or some other way? Learn how to improvise sustained, improvised stories in any style or genre! This course focuses on the core elements that make San Francisco-style (Improv Playhouse, 3 For All, True Fiction Magazine, BATS, etc.) Long-Form successful—Ensemble, Narrative, Acting, and Genres/Characters/Wheres. This intensive is for both improvisers with previous experience who want to step up to the next level, and for improvisers who are just starting to do long-form stories. (Warning: this course may give you the desire to do long-form improv for the rest of your life). In improvised longform stories, we often find ourselves in the “Lead” role. Just like that, we are the “Star” of the story! How can we do this, convincingly, bravely, honestly and with passion? How can we fill the roles that famous movie stars across the decades have played? that you can rise to this great challenge and opportunity! Be a Star! Play the Lead! All of Inbal’s workshops can be taught as intensives as well. See for specifications: “workshops by inbal”. For more information about the shows and workshops or other questions for Tim or Inbal, don’t hesitate to contact us! CLICK is an improv format in which scenes and stories are inspired by photos provided by the audience prior to the show. the hosting theatre must have a projector and a screen which can display photos without interfering with the onstage action. the hosting theatre will need to solicit photos from audience members in the days leading up to the shows. CLICK will provide a sample e-mail to audience members asking for the kinds of photos we are looking for. We’ll need a minimum of 30 photos for each show. 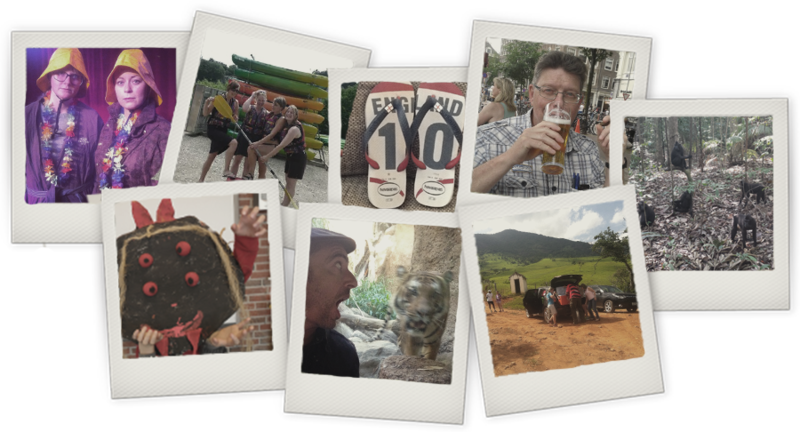 we are looking for a wide variety of photos: selfies, multiple people, crowds, locations both interior and exterior, nature, objects, holidays, etc. In the event that there’s not enough variety in the initial photos sent in the by the audience, we may want to solicit them again. these photos will need to be re-sized and optimized for the projector and screen at the theatre. The photos must also be numbered in some way. a rehearsal of 2-3 hours the day before performances begin is ideal. If this is not possible, a rehearsal beginning no later than 3 hours before showtime on the day of the show is required. We need two microphones with stands, one on each side of the stage. If platforms and flats are available, we may want to use them. our preference for the musician is someone with an electronic keyboard. We also prefer someone with extensive experience in both short and longform improv, and who can accompany improvised songs. the lightician will ideally also have extensive experience in both short and longform improv. it’s important to us that the show unfolds without technical problems, so we’ll work closely with you to do everything we can to make this happen. The presenter provides a musician, a lighting technician, and a projector technician who are experienced with long-form and short-form improv for the show. (​Please note that the technician responsible for operating the pictures in the show must be an additional person, not the light technician).